Thank you to Maria for sharing with us her favourite organiser. 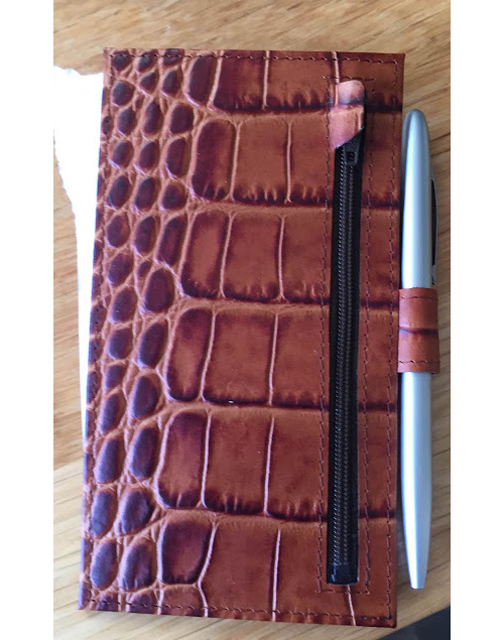 Additional Features: The lay-out is totally customized, two bottom pocket and two slip pockets for notepad, zipper case with credit cards pockets and pen loop. 1. What is your favorite organizer (Make/model/size)? My very new custom made Van der Spek personal size, with 25 mm gold rings and proper ☺. 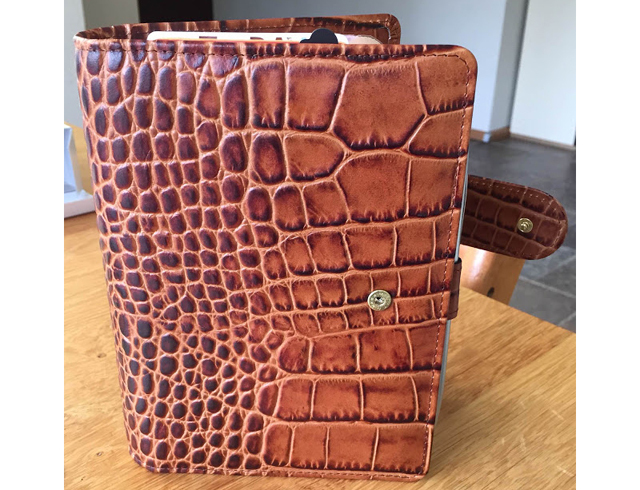 Very nice smooth honing colour croco print leather has been used on the making of this planner. Well actually I do have the planner for one week. OMG, I love the planner. 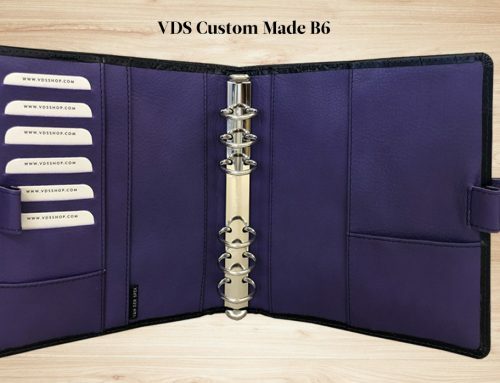 As I said, it is a custom made planner, made by Van der Spek (a Dutch company). I designed the planner. I thought very hard what I want in a planner. I have a very beautiful Malden purple planner (personal size). I love the pockets, but I wanted the pockets in another way. The way it was laid out, was not working for me. I also have a Gillio Compagna, which has a big back pocket. I do not use the back pocket. And also here the pocket layout did not work for me. So I took the bits and pieces I love from both planners, I thought how I want to use the planner and design my planner. 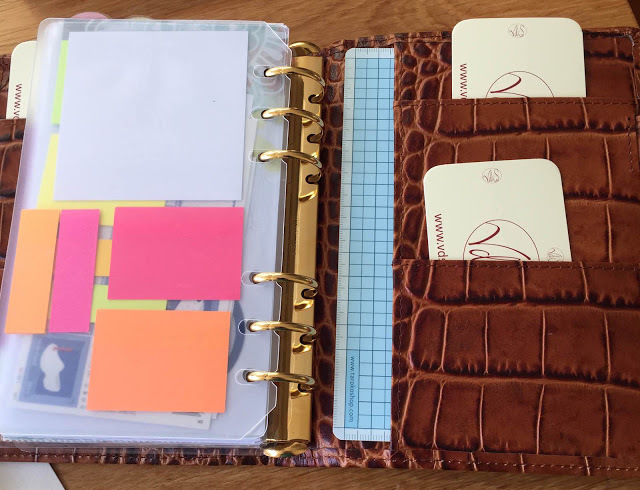 I was so fortunate to be at the Van der Spek meet-up where I could finalise my design and choose the leather of the planner. I love the layout. It works for my daily life. 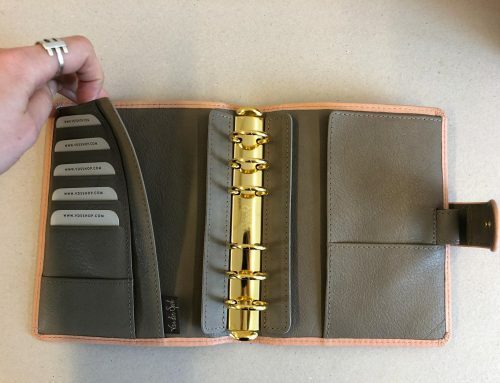 I have a planner with a detached wallet. If I need the wallet I can use it, when I am in a meeting I leave the wallet in my bag. 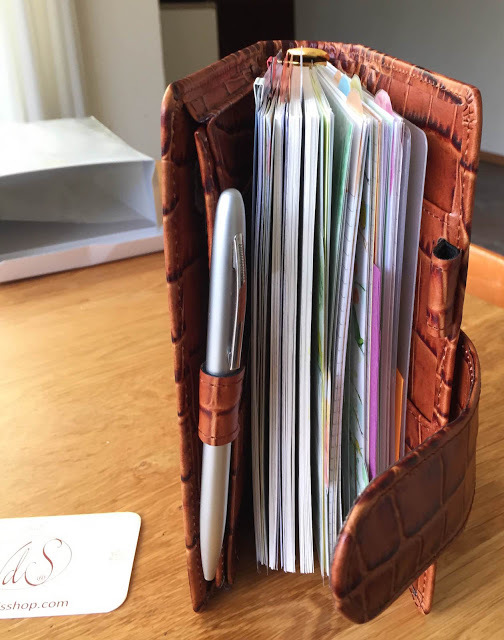 If I go to the store and I do not want to take the whole planner out, I can easily take the small wallet. 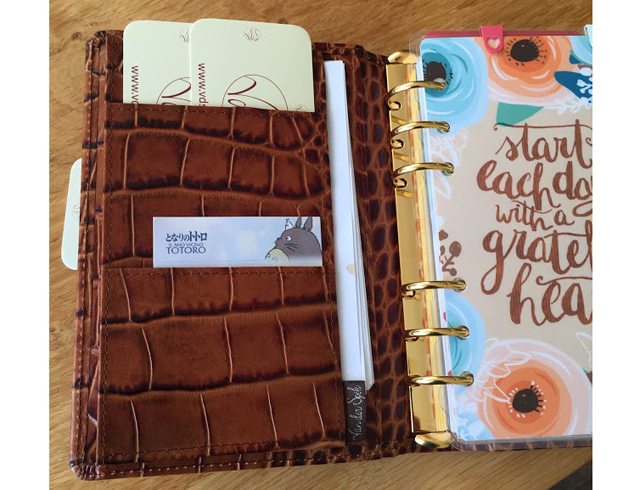 I love the flexibility of this planner. Work: notes for work, work time lines. 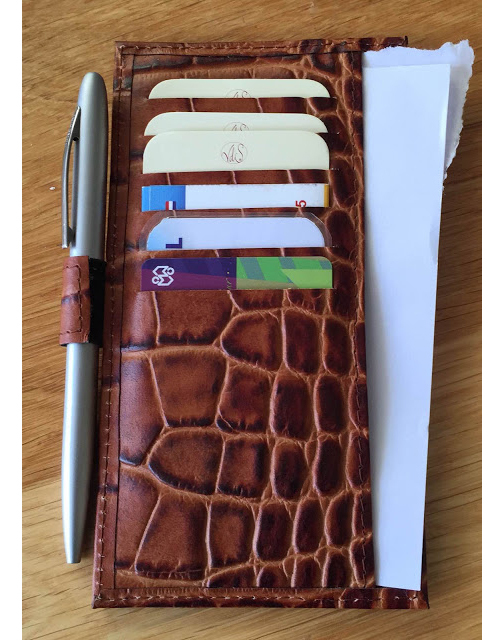 Then I have the wallet, where I have a few cards, note paper and a pen. I asked for an extra pen loop on the wallet, so I can always have an extra pen with me. Maybe, life changes, so my planner needs will also change. But I tried to make my planner flexible enough to adapt to life. I thing this planner will last me a life time. The craftsmanship of Van der Spek is amazing. Thank you Maria that really is a lovely design and superb execution of your ideas. 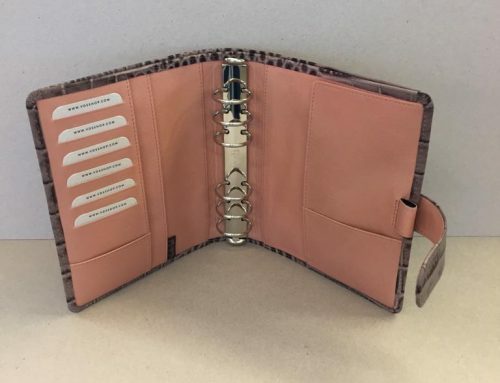 I would really love a list of requirements she made for this planner so that I can order one exactly like it.